In certain classes, students engage in a unit of study and then showcase their knowledge through an assessment such as a test or quiz. In composition courses, students usually complete an essay as their final project. 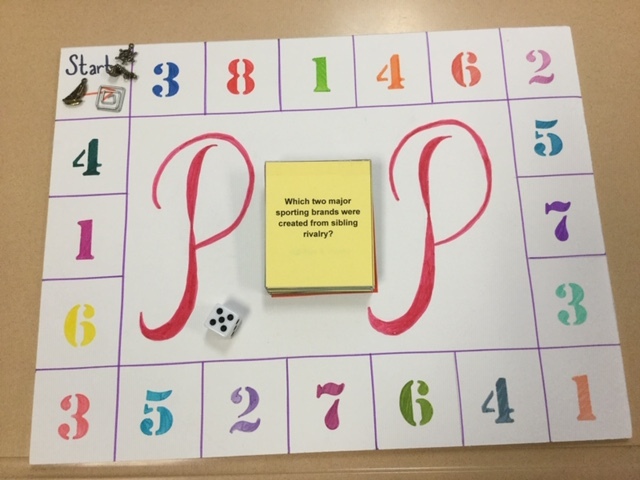 These AP Language and Composition students, however, took a different approach when they finished their Pop Culture unit. The hours they spent on their final unit projects rival that of the time needed for a traditional essay and, in some cases, the students were more engaged in their work. 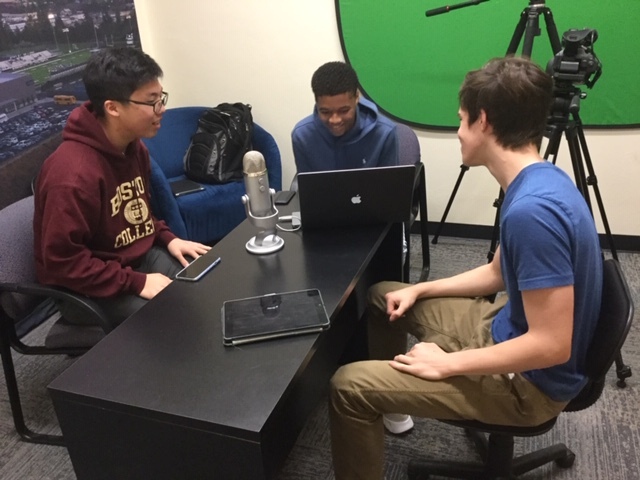 The recent student-chosen mediums included a Pop Culture trivia game (Sophie Boyd), a Pop Culture in Politics video (Nicki Añel and Violet Barkley) and a podcast about fashion (Brian Bak, Garrett Clark and Anaiis Dunbar). 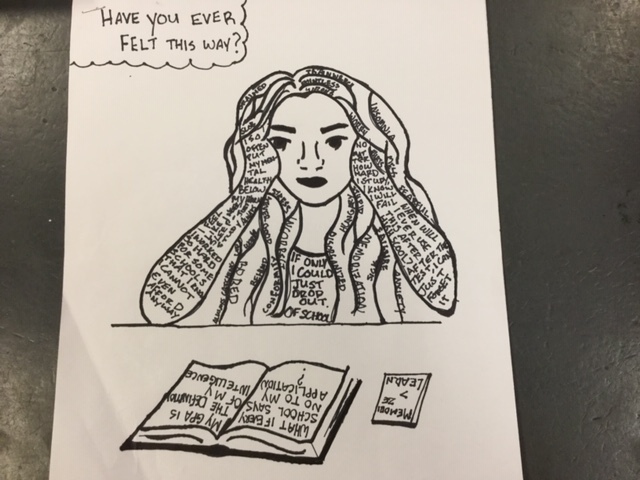 A previous unit in Education inspired two graphics: a visual depicting the Danish education system (Eliza Burgess) and a profound image of high school stress (Caitlyn Gorman). 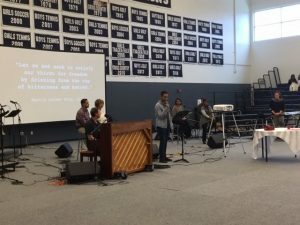 While writing is the distinct foundation of this senior course, students occasionally do have choices in their own assessments of their knowledge. And isn’t that what is education all about- students taking ownership of their learning? A picture says a thousand words. Caitlin Gorman’s drawing captures teenage angst. 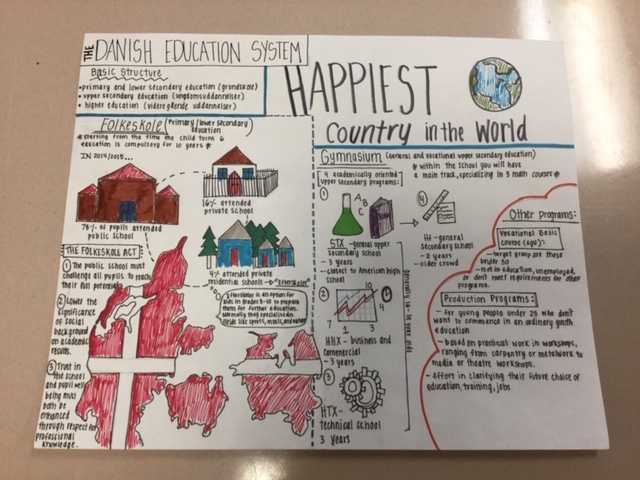 Eliza Burgess offers a compelling look into the Danish education system.